Joint Base Charleston was put under pressure last week conducting an extraordinary exercise to evaluate their ability to deploy a large aircraft formation during a simulated crisis. And by large I mean very big airplanes in a very big formation. 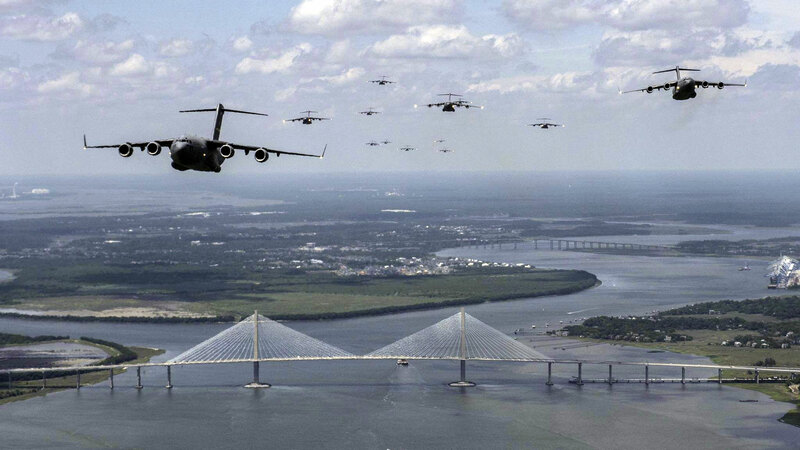 As part of Crescent Reach 2015, 15 aircraft departed the military base in Charleston from the 437th airlift wing for a multi-ship formation to Pope Air Force Base in North Carolina including 11 C-17 Globemaster IIIs. The 437th joined forces with the 628th Air Base Wing and reservists from the 315th Airlift wing to get things off the ground successfully. 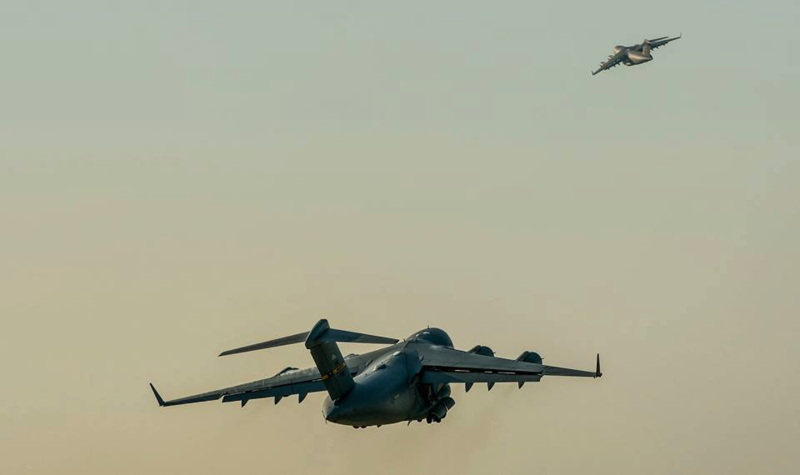 Along the way, the formation was met by four additional C-17s, six C-130s, E-8 JSTARS and two F-16s during the 82nd Airborne Division’s participation in All American Week. Testing the pilot’s abilities to fly in a large formation was only a portion of the goals for this exercise. 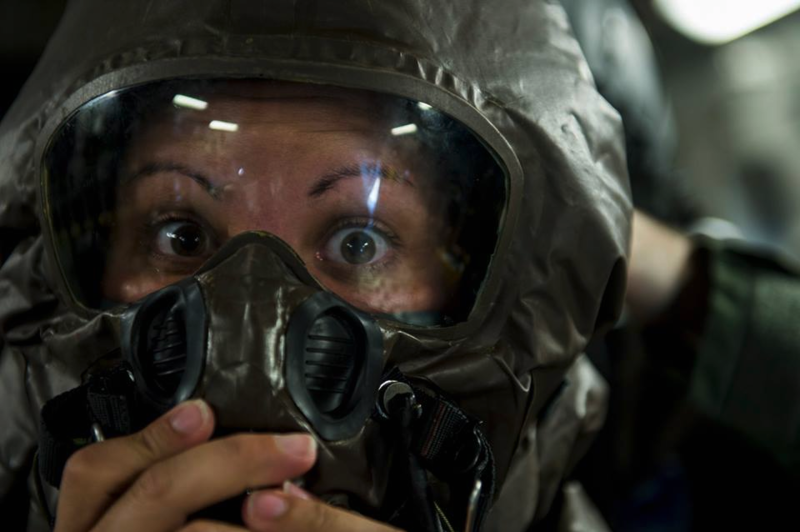 Deploying members’ ability to survive and operate in dangerous environments was also exercised through Chemical, Biological, Radiological, Nuclear Explosives training and evaluation events. 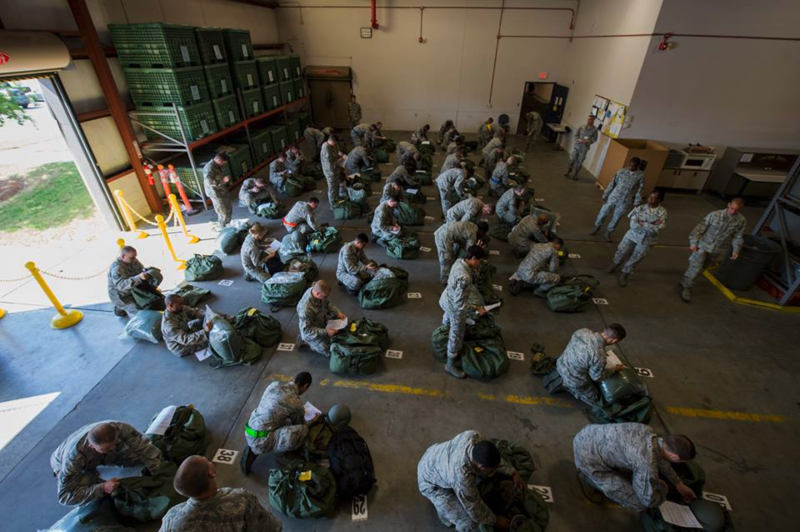 As another part of the mobility portion of the exercise, over 1,500 paratroopers and critical equipment were dropped to simulate a Joint Forcible Entry of the Global Response Force. Additionally 40 Container Delivery System (CDS) bundles, eight dual row platforms and one heavy platform were dropped from the airlift aircraft. CDS bundles are roughly the size of a coffin and used to supplement equipment carried by the airborne paratroopers or resupply forces already on the ground. The CDS has its own self contained cargo parachute that deployed with a 20 foot static line attached to the C-17. The dual row platform is intended to drop much heavier equipment with weights upward of 14,000 lbs. 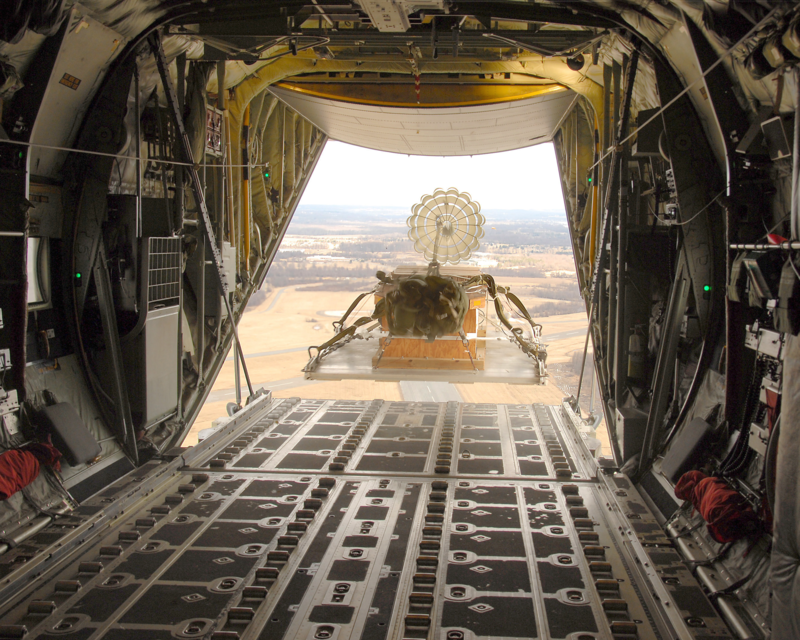 Heavy drop is used by airborne forces most often to deliver vehicles, bulk cargo, and equipment.